As promised, I am still among the land of the living and I have returned. I was rather cryptic with my last post and it’s time for some clarification. Over the last year or so I’ve been experiencing some pain in my joints, in my hips to be specific. It was occasional and was strangely most evident while trying to get in and out of the car. I could do stairs fine, I could walk fine. As late as last summer and fall I was fine. I walked long distances on my trip to Maine in August, I walked distances when we were in New Mexico into October. But when the weather turned cold here in New Jersey late last fall, things started to change. I think it was the combination of the cold and the damp (one of the major reasons we want to leave New Jersey) that exacerbated the situation. I plugged along through the holidays and into the New Year. As the days went on, it was harder and harder to climb stairs, walk any distances and even as simple as sitting down then standing again. I’d have some better days and I tried to stay positive, but for most days, it was a struggle. I went to my family doctor who ordered hip x-rays and an MRI of my lower back. Turns out I have degenerative joint disease (DJD) in my hips and lower spine. She suggested I see an orthopedic doctor. I hit a few bumps in the road in my first attempts to see someone. 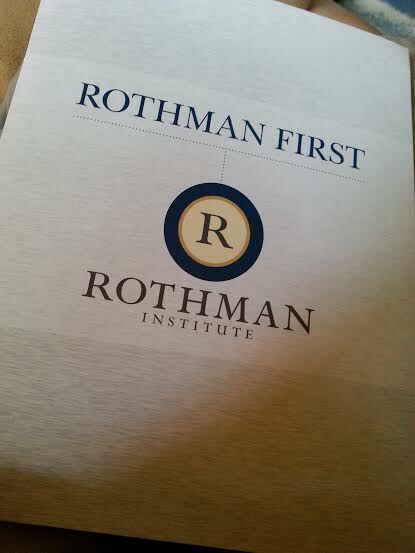 However, I’ve heard from a number of friends that the Rothman Institute in Philadelphia is the best of the best. I called and I was amazed that I was able to get an appointment in only three days. Having no idea which doctor to ask for (although I had read up on them on the website) I simply asked the scheduler for an appointment. She replied, “Well, we have an appointment with Dr. Rothman on Thursday.” When I picked my chin up off the floor I picked my appointment time and I was on my way. I will be having double hip replacement on July 23. Dr. Rothman said that recovery time is the same for one as it is for two. I need both done, they are equally in need of replacement. He told me he doesn’t recommend it to everyone, but in spite of my age, I’m in good health and in good shape. In the meantime, On July 8 I’m scheduled for a day of a physical, giving blood to be available if necessary during the surgery and pre-admission testing. After surgery and two days in the hospital, I’ll be staying with my friend Gail because her home is bigger and will allow me more room to move around and do re-hab. I also have a ton of things to accomplish prior to the surgery. I want to get a lot of things done around the house, more of my continual sorting and purging. In spite of the fact that I’m Much slower getting around lately, I have gotten a lot accomplished. I want to keep that progress going as much as possible over the next few weeks. I am anxious and excited and scared all at the same time. I know that I couldn’t be in better hands and I can’t go on with this pain and lack of mobility. That is almost scarier than the thought of the surgery. That’s enough for now. I will be keeping everyone updated on my progress. This is going to be an adventure for me as I have never had major surgery. You can all come along with me on this path. I’m glad to be back here sharing with all of you again. I’m going to try to stay calm. 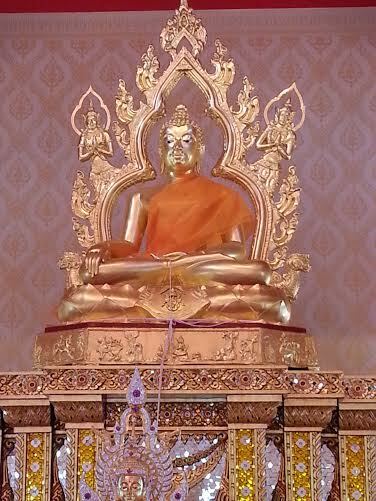 Time to get back to meditating, I guess!! Thanks, Helen! I’ll keep you posted! Happy Birthday in advance! Liz, thank you so much. I’m nervous but I’m going in with a positive attitude. Take care, Sweetie! so glad to see you back blogging again…I was very disappointed when you stopped. You and your new hips will be back dancing again by the Rock a Hula party. I know it! Thank you, Ms. Ele. I’m BAAACK!! I’m not sure about dancing by the Rock a Hula. The yard is a little uneven. Not sure I can even be out by then, but we’ll see! I’m so sorry to hear about your poor hips. I suppose I could make some sort of inappropriate joke about your youth but I’ll refrain due to the seriousness of the situation. I will be rooting for you Ms. Fran, and I know you’ll recover swiftly and easily and be back on your feet (and hips) in no time. If you need anything, let me know. But I Love your inappropriate jokes, Meghan. It’s part of your charm. Thanks for the support. As always, you’re one of my faves! Thank you, Judy! I’ve missed it too, but I let myself fall into a slump. I see the light at the end of the tunnel…hopefully it’s not a Train! Thank you, thank you to You and Uncle Bill for the prayers. I know you have a special pipeline. We used to go to Mom for that special pipeline, now it’s you and Bill. Many hugs! fran!!! i will be sending you positive vibes and big hugs. please know i am thinking of you and wishing you a speedy and smooth recovery. you have such energy and positivity -> these traits will be real assets over the next couple of months. xoxo! Kathy!! So great to hear from you. I will accept all of those vibes and hugs. I am so lucky to have made so many wonderful blog friends. I was just saying that to Ralph just yesterday. I know you are all behind me. Stay in touch.